If you’re scratching your head (with your claws) over Kanye West’s “Fade” video, which he premiered last night at the VMAs and currently lives as a Tidal exclusive, just set aside a few hours and get ready to binge-watch the clip on a loop. 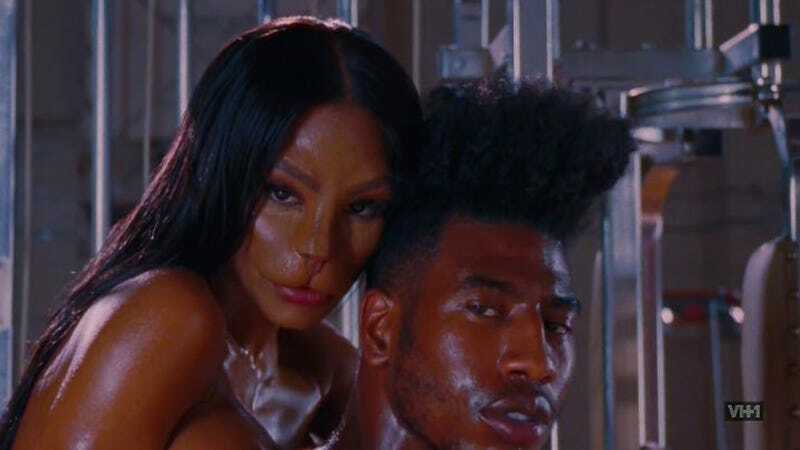 That is the key to understanding the video’s twist ending, in which GOOD Music recording artist Teyana Taylor is inexplicably transformed into a cat-woman creature after an energetic display of dance and herself in gym, and making out with her real-life fiance, the Cleveland Cavaliers’s Iman Shumpert, in a shower. In an interview with Vogue, Taylor paraphrased West’s explanation of the cat face: “I’m going to put you in this cat face. It’s going to be chic.” Ah yes. There are few pathways to chicness more direct than catface. Remember that for next year’s Met Ball, everyone. I think the vision behind that was how amazing Teyana is, and how she’s been on the rise, and how she’s working, and you are now seeing her blossom into this fierce lioness, this fierce cat. She has worked her way into that, and she’s in a great position right now in her life. She has her family. She’s being held down by her amazing husband. She has a beautiful daughter. You know, the lioness always protects her baby. I think it really is about her coming into her fierceness. And that’s where she is in her life right now. She is blossoming. My interpretation is that such an ending needs no definitive explanation. In fact, the absence of one heightens the overall surrealism, as well as fosters ensuing conversation, which is really what everything is all about, anyway. But if anyone watches the video 20, and 30, and 40 times, and figures something else out, please let us know. I wish I had time, but I have an actual gym to get to.